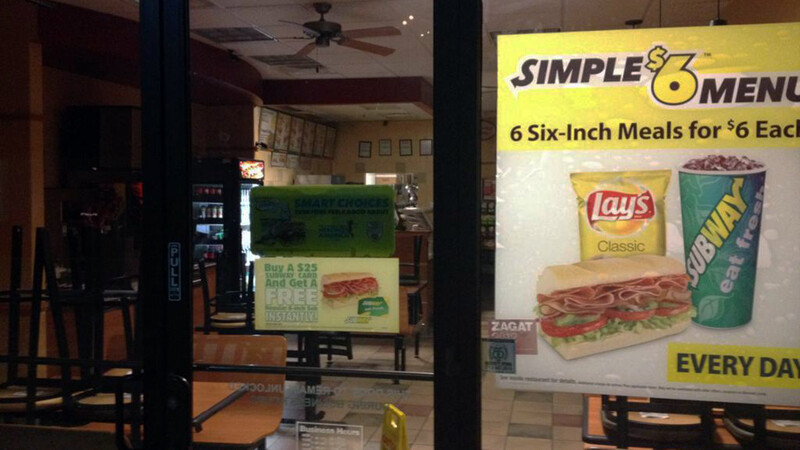 HOUSTON (KTRK) -- Police are looking for a limping bandit who robbed a Subway for cash and cookies. It happened around 10:00pm last night at the Subway restaurant in the 7400 block of the South Beltway at Hillcroft in southwest Houston. Employees say the male suspect was wearing a mask and a hoodie when he limped into the restaurant and demanded cash and cookies. He then left on foot in an unknown direction. There were no customers inside the restaurant at the time of the robbery. No one got hurt.